Friday 20th May 2016 – 6.25pm – Murray MacGregor. A couple have had an extraordinarily lucky escape after their car suffered massive damage after a collision with a lorry. It happened on the northbound M6 between junctions 12 and 13 at Penkridge at around 4.30pm on Friday evening. Two ambulances, a paramedic area support officer, the Midlands Air Ambulance from Cosford and a senior paramedic officer were sent to the scene. A West Midlands Ambulance Service spokesman said: “Initially, one of the 999 calls suggested that one of the patients was in cardiac arrest, but thankfully this turned out not to be the case. “The driver of the car, a 67 year old man had been ejected from the vehicle in the collision. Thankfully, he was away from live traffic. He suffered serious but not life threatening chest and head injuries. “His wife was badly shaken but uninjured. 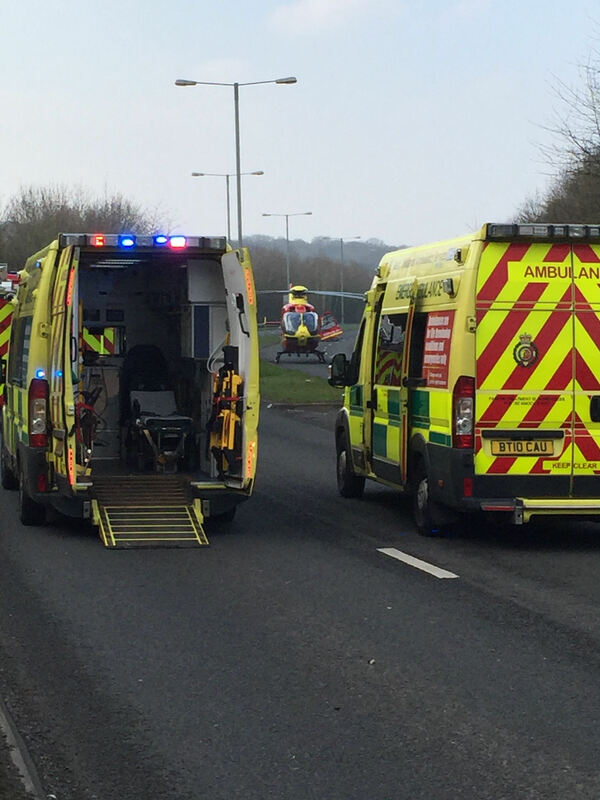 The man was taken to the Major Trauma Centre at Royal Stoke University Hospital by land ambulance with the doctor from the aircraft travelling with him. His wife went with him. “The driver of the lorry, who was in his 40s, was assessed at the scene and was taken to County Hospital in Stafford as a precaution.